Home/Design, Museums/Who wouldn’t want to build a life-size origami elephant? It’s not really a surprise that I have a bit of a penchant for elephants. After all, I chose one as my company logo – for reasons explained here. 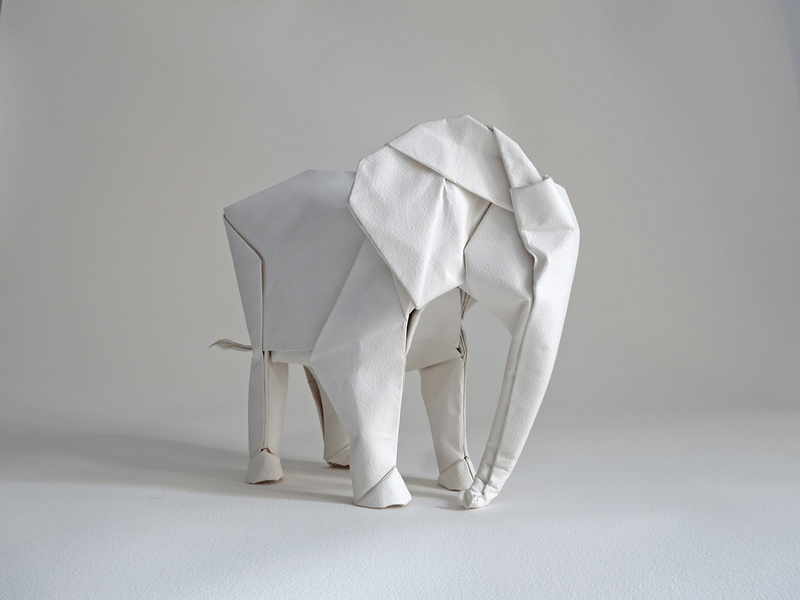 So there’s no way I couldn’t share this rather bizarre – but extremely appealing – campaign to raise money to fold a life-size origami elephant out of a single sheet of paper. Mabona intends to replicate the process on a massive scale, in order to “prove that there are no limits to what can be made out of a[n] uncut square piece of paper”.The folding itself (summarised in starkly simple form below) is, he says, “a beautiful process” that has more significance than the final result. His intention is to complete the transformation from paper sheet to life-size elephant within the Art Museum in Beromünster, Switzerland; he’ll also be capturing it with time-lapse photography. All this is much more impressive than my own time-lapse origami efforts, which are displayed in the fundraising video for the HMS Beagle Project below. Maybe someone should create a life-size origami Beagle somewhere? You can find out more about Sipho Mabona and his White Elephant campaign – and pledge your support in return for some origami animal goodies – at Indiegogo.